A cyber security playbook can help prepare your organisation to deal with the latest threats. Cyber-attacks continue to dominate the headlines on an almost weekly basis, serving as constant reminders of the critical importance of a strong cyber security incident response plan. Due to a lack of adequate protection, hackers in certain cases have been able to breach internal databases containing many millions of records of personal data. What’s more, because it can take weeks or even months to identify such an intrusion, the resulting damage can be difficult to recover from. Not only has sensitive information compromised organizations’ customers around the world, but employees have been impacted as well. One solution that companies are increasingly turning to is automated playbooks with machine learning. Automated and intelligent incident response is proving to be a game change as it helps bridge the gap between monitoring and incident management by running continuous remediation workflows that are designed meet both compliance and security requirements without the need for human intervention. What are automated cyber security playbooks? Similar to playbooks used in various sports, automated cyber security playbooks incorporate proven actions (workflows) that can be quickly implemented and repeated as necessary. They can be completely customized and operate continuously to detect and respond to threats without the need for human input. This is especially valuable to businesses with limited IT resources or the inability to operate 24/7, which in reality is a challenge even for enterprise-level organizations. Cyber security playbooks that are backed by intelligent automation are especially valuable as they can deliver round-the-clock remediation while seamlessly maintaining critical compliance standards. Why are security playbooks so effective? Automated security playbooks are highly effective because they have the potential to help companies stop hackers immediately, before any damage can be done. Additionally, leveraging automation technology helps organizations address logistics, budgetary and labor shortage situations. These days, the increase in breaches is occurring not just because the criminal masterminds behind them are coming up with newer, more sophisticated methods of attack, but also because they are relentless in their attempt to get what they want. Having automated playbooks running in the background allows IT departments to respond to intrusions with the same frequency and intensity. The way threats like malware and other viruses inflict so much damage lies in their ability quickly spread. This problem is further exacerbated by the fact that basic security measures often allow network intrusions to go undetected. The longer it takes to pinpoint a breach, the more time the underlying threat has to propagate. So what may have initially started as a relatively minor issue can very quickly snowball into a serious security violation that can have a significant and lasting impact. Security playbooks utilize automation to rapidly respond to, isolate and eradicate threats before they have the opportunity to inflict further damage. 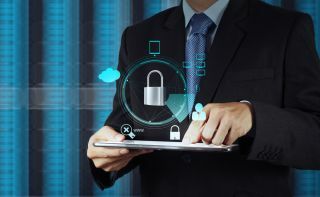 In many cases, an automated playbook, along with adequate data backup policies and procedures, can neutralize a cyber-attack, preventing any potential damage from occurring in the first place. Getting started with automated playbooks is much easier than many realize. In fact, many solutions offer plug-and-play options, with hundreds of pre-defined, out-of-the-box workflows. These workflows can be deployed out of the box, or may be further customized based on individual business needs. To determine which additional tasks and processes can and should be automated, IT teams should analyze their existing information security workflows and evaluate their specific data security requirements. The lateral goal should be to also identify areas of opportunity where shifting manual, repetitive and time-intensive tasks away from human workers and into the capable “hands” of software robots. It’s important to point out, however, that automation alone isn’t enough. IT leaders must also find a way to orchestrate responses to specific scenarios and various attack types. Security playbooks can aid in this area as well. Automated workflows can be tailored to fit the unique circumstances of a variety of potential attacks. The playbook essentially outlines what “plays” should be orchestrated, either individually or in combination with other threat-response workflows. Thanks to advancements in technology, cyber security incident response strategies can now be exponentially enhanced through the application of artificial intelligence and machine learning. Beyond simply initiating and completing automated workflows, the right platform can also gather and analyze data to identify additional areas of vulnerability, develop best practices and assist IT leaders in making better, more data-driven business decisions. What’s more, machine learning and intelligent automation technology can offer continuous improvement. With the right automation and orchestration strategy in place, security playbooks powered by AI can operate “on the fly” - that is, they can adapt and evolve to best suit the situation at hand. By instantly and automatically running through all the possible combinations of workflows and processes, an intelligent playbook can adapt in real-time to ensure the most appropriate and effective response is delivered, thereby thwarting attacks as they occur. The ability to instantly and automatically respond to any imaginable security scenario in real-time brings the use of playbooks to a whole new level. For instance, if an end-user at an organization attempts to connect to the VPN with a machine infected with malware, a workflow can be triggered to isolate and remediate the problem at machine speed. In many instances, a scenario such as this can reduce response time down to just one or two minutes, dramatically mitigating risk for the organization. Finally, using security playbooks backed by intelligent automation doesn’t just improve response time and reduce the risks associated with cyber threats. It also helps organizations meet their compliance requirements. It’s a logical combination, especially given the fact that compliance is ultimately just a series of repetitive steps. Just as with security measures, compliance steps can be built into automated playbooks, thus providing ongoing tracking and instant, real-time retrieval of data as needed. The fact is, while monitoring is certainly an important part of incident response, it’s simply not enough to keep organizations safe from today’s threats. The solution lies in the ability to remediate incidents as quickly and strategically as possible. Automated playbooks powered by smart technology provide the missing link to creating a more effective cyber security incident response strategy that will stand the test of time.